Toni Sherman is a “Washingtonian”, born and raised in the area, She attended University of Md graduating with a BA in Hearing and Speech, and tested hearing for Fairfax County Health Department for several years. She then switched careers and worked in the Montgomery County and it’s surrounding areas for 25 years in Residential Real Estate. Toni is a Top Producing Professional and Experienced agent providing a superior level of expertise , knowledge and a great work ethic to buyers and sellers in Montgomery County and surrounding areas. It is her goal to give the best service possible, in order to get your contact through. When you are negotiating, Toni is your answer. She knows what it takes to get the deal done. To ensure the best transaction for her clients, she stays current with market trends. She began her career at Shannon and Luchs and being a natural at Real Estate was awarded Rookie of the Year. She moved to Remax 2000 in Rockville, Md., and spent 21 years there. In 2012, she had the honor of working as a Housing Counselor for Comprehensive Housing Assistance which is part of The Associated, Jewish Federation of Baltimore. While she was there she put on a housing tour in partnership with Live Baltimore for grants in order to help people purchase a home. She promoted homeownership by counseling and matching clients with resource money to purchase homes, and as a result 33 families were able to attain their dream of homeownership. Toni wrote and settled loans as a counselor so she brings valuable insight into the whole process of buying a home from beginning to end. She is currently a Associate Broker at Prudential Pen Fed on the Harriett Wasserman team. LinkedIn voted her as being in the top 10% of most viewed people for 2012. She was in Who’s Who of Real Estate 1996, 2004, and 2011. 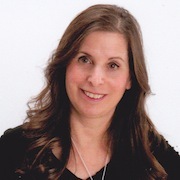 Toni is a co founder of a non-profit called Jewish Roc located in Rockville, Md. Giving back and helping others is a main value in her life. She is an energetic professional and very dedicated to meeting the needs of her clients with focus and care. Whether you want to buy, sell, invest or rent she is here to help. Toni specializes in single family, town homes and condos. She works with Resale homes, new homes, local and relocation buyers, first time home buyers, move up buyers, and investors. The right agent matters. You need to have an agent on your side. Toni can provide up to the minute information on the value of your home. In this fast paced and fluctuating market, she utilizes her keen observations and in depth market analysis to provide efficient and effective feedback. Known to her clientele for being sincere, personal and professional, she strives to deliver more than is expected. If you want the highest quality Real Estate Service look to Toni Sherman. She will help you create a memorable, non stressful real estate experience. She parlays her background and exclusive local Real Estate knowledge to her client oriented Real Estate Service which will result in a successful transaction.